ACHD's Planning, Programming and Capital Project Management Division embodies the District's new approach toward project management, assigning personnel to road, bridge and intersection projects before they reach the concept phase and having those same project managers follow the work to completion. The idea is to bring large capital efforts to fruition on time and on budget, with a wealth of early and continuous public input. As the local road building agency for all of Ada County, ACHD has led the way in increasing on-street bicycle lanes and facilities. The Ada County Highway District plans for bicycle facilities as part of all of our road projects. A commitment that has led, in part, to the doubling of the miles of bikeways over the past decade. Bike lane mileage in the county has increased nearly fivefold since the mid-1990s, when the tally was only 57 miles. The Capital Projects Team is responsible for the management of ACHD's capital projects. Project Managers are paired with projects from beginning to end. This includes administation, scheduling, budgeting, design, cost estimating, right-of way acquistition and delivering projects for bidding and construction. Project Managers then provide oversite for projects during construction. The Design & Construction Review (DCR) is a monthly status report on the progress of projects in the planning or design, the acquisition (right-of-way) or the construction phase. From this document, the reader can learn the basic scope of work, the start and target completion dates and the current status of each phase. The key ACHD individuals involved are also identified. 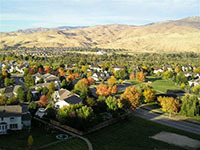 Community Programs are ACHD projects developed to expand and enhance a safe, efficient, and accessible pedestrian and bicycle network for all residents of Ada County. A target of 5% of the annual Integrated Five-Year Work Plan capital funds are dedicated to Community Programs, with a fair geographic distribution in each city per year. Emphasize Safe Routes to Schools. Support the reduction of school safety busing. Reach out to constituents and respond to public needs. Promote community and neighborhood involvement and support. Optimize the use of fiscal resources. Bring Ada County to ADA compliance, improving mobility for the disabled. 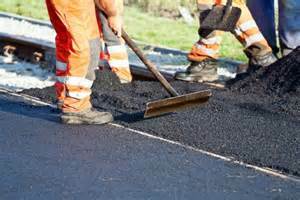 Pavement Management is responsible for inspecting and monitoring pavement condition on over 4,825 lane miles of roadway. This division determines required repairs, and schedules repair or rebuild as necessary to maintain ACHD's high quality roadway standards, currently rated as "the best in the Northwest!" 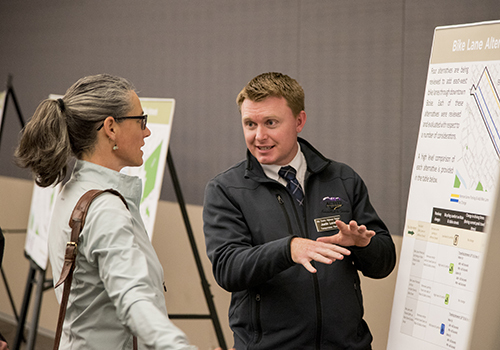 ACHD's Planning & Programming Team looks to the future to help ensure our roads, bridges, and transportation needs are met, based on public input and how the region is growing. Planning and Programming oversees corridor transportation studies, transportation modeling, coordination with comprehensive plans, mid-term investment planning via the Integrated Five Year Work Plan and the implementation of the Pedestrian Bicycle Transition Plan. The Department processes community program requests and applications from citizens and partner agencies, and programs projects such sidewalks, bicycle improvements and other pedestrian enhancements. This team also pursues and manages outside funding opportunities for the District. ACHD's Right-of-Way team is responsible for acquiring property associated with the District’s capital projects and maintenance work. They initiate and manage license agreements for long term activities in the public rights of way (e.g. landscaping, fences, etc. ); and organize the vacation of public right of way which is deemed no longer necessary for public use by the District, and administers Roadside Memorials. Utilities are found underneath, adjacent and over roadways. They include pipes as large as 6 feet in diameter, that carry water, stormwater, sewer, petroleum products and natural gas as well as cables which provide telephone, fiber optics, cable TV and other telecommunications services. The ACHD Utility Section is responsible for monitoring, coordinating and facilitating the activities of public and private utilities withing the public rights-of-way and under the jurisdiction of ACHD, minimizing the impact to the roadway and the traveling public.